As business owners, we tend to think we can do it all ourselves. Bookkeeping is one of those tasks that oftentimes gets dumped on the business owner and unfortunately, may be done wrong. Saving money is the goal, but if the bookkeeping is done incorrectly - or not done at all - it can cost your company a lot more money than it saves. Prescott Tax and Paralegal explains how outsourcing bookkeeping services for your Prescott business can prevent costly errors when tax season arrives. Are you really utilizing your time and resources wisely? You are an expert in your business. Taking precious time and resources away from operating and maximizing your business to do bookkeeping can spread you too thin and have a negative impact on your bottom line. Many small businesses get into tax trouble because owners are too busy running their business to do the bookkeeping required for accurate tax preparation. Outsourcing will not only save you unneeded stress, but it also ensures an accurate tax return - often resulting in paying less in income taxes. And no one wants to end up paying penalties and interest to taxing authorities. A professional bookkeeping firm like Prescott Tax and Paralegal will be able to help you budget properly and find areas where perhaps you are spending too much money. One of the main benefits to outsourcing your bookkeeping to us is the benefit of many years of expertise and knowledge. Improving financial performance is and should be a goal to all businesses, and outsourcing gives you an edge to help you reach that goal. Compliance with tax laws is a must, and outsourcing to a professional bookkeeping service is in your best interest. 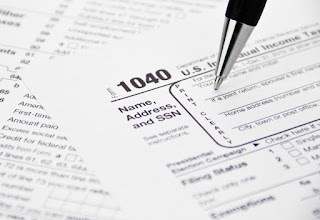 The experts at Prescott Tax and Paralegal can help by handling your bookkeeping needs, preparing tax returns and financial reports for your Prescott small business. To set up an appointment, give us a call at 928-778-3113.